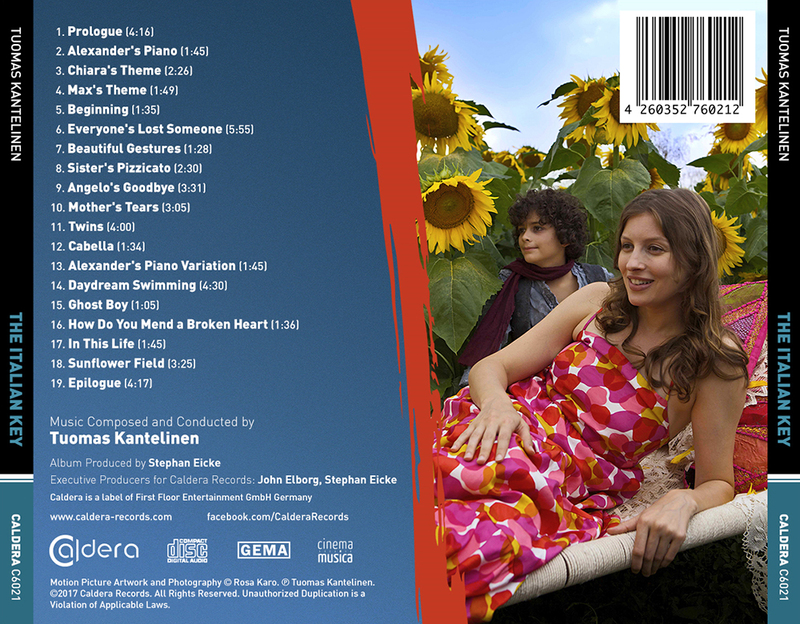 The music for “The Italian Key“ was written by Tuomas Kantelinen who is also the producer of the film and the husband of its director. Since the film has a vintage look about it is meant to be an old-finished film in many respects, Kantelinen decided to pay tribute to that musically by delivering a romantic score for orchestra, filled with several themes and motifs that describe the characters and their surroundings. Like the film, the music is charming, sunny and optimistic without lacking the depth the subject matter requires. After six years, the music for “The Italian Key” finally receives its well-deserved release as one of the best works of Tuomas Kantelinen. The 21st CD-release of Caldera Records features a detailed booklet-text by Gergely Hubai and an elegant artwork by Luis Miguel Rojas. The CD was produced by Stephan Eicke and John Elborg.